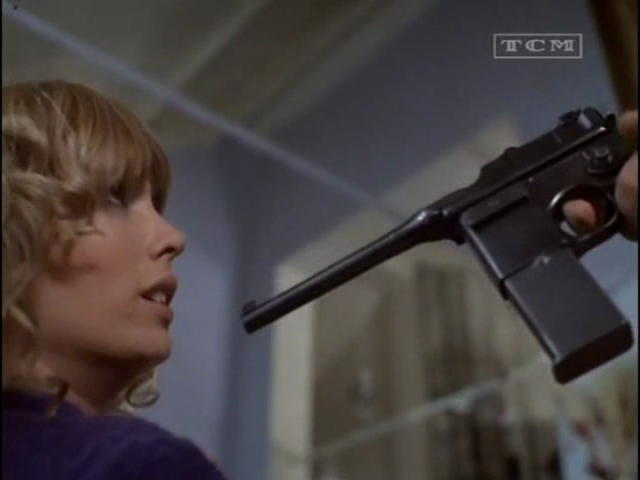 In 1972, Jill Townsend had a small but important role in Sitting Target, a fun, violent buddy movie wonderfully directed by Douglas Hickox. The movie stars Oliver Reed and Ian McShane (who have quite a bit of fun with their roles) as friends who escape from prison so Reed can kill his wife who has been cheating on him. Of course, they will need money to flee the country afterwards, so they go see a guy who they know has a bunch of money. That guy's mistress is played by Jill Townsend and Oliver Reed and Ian McShane put the squeeze on her. Jill Townsend doesn't have all that much to do here except look lovely, help Oliver Reed take a bath and sleep with Ian McShane. Still, her part in Sitting Target is a memorable one...a great part from an excellent film!